WASHINGTON, DC, June 20, 2012 (ENS) – Today, the U.S. Senate rejected a resolution that would have prevented the U.S. Environmental Protection Agency from implementing the first national standards to protect Americans from power plant emissions of mercury and toxics such as arsenic, acid gas, nickel, selenium, and cyanide. The Mercury and Air Toxics Standards rule, often called the Utility MACT rule because it requires that power plants use Maximum Achievable Control Technology to limit emissions, was turned back on a bipartisan vote of 53 to 46. Five Republican Senators and 48 Democrats voted to reject the resolution. The resolution was proposed by Senator James Inhofe, a Republican from the oil and gas producing state of Oklahoma who serves as ranking member of the Senate Committee on Environment and Public Works. Public health and environmental groups called the vote a victory for clean air. “The American Lung Association is heartened to see support on both sides of the aisle in favor of protecting the health of children and families from toxic pollutants like mercury, arsenic, acid gases, and formaldehyde,” said Billings. “Had it passed and become law, the measure would have permanently blocked the scientists at the U.S. Environmental Protection Agency from implementing safeguards that will cut toxic air pollution. 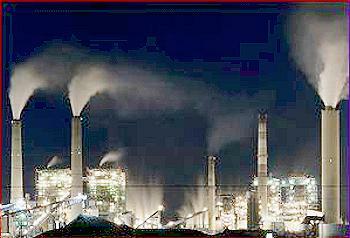 The long overdue Mercury and Air Toxics Standards became final earlier this year and were developed to comply with a Congressional mandate to reduce toxic air pollution more than 20 years ago,” he said. Schweiger called the new standards “a job engine” and said they are expected to result in 46,000 construction jobs and 8,000 utility jobs as plants upgrade to cleaner technologies. The EPA estimates that the Power Plant Mercury and Air Toxic Standards will prevent 130,000 childhood asthma attacks; more than 6,000 cases of acute bronchitis among children; as many as 11,000 avoidable premature deaths; and 4,700 heart attacks, annually.